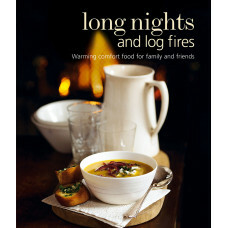 Long Nights and Log Fires contains warming recipes which will starve off winter's chill. On a cold day a steaming bowl of soup is always welcome, try Parsnip, Chorizo and Chestnut Soup. You can indulge in quick to prepare recipes including Taleggio and Potato Tortilla and Sausages with Winter Rosti. The book also contains recipes for casseroles, roast dinners, sides and salads and delight in desserts such as Sticky Marzipan and Cherry Loaf and Baked Apples with Butterscotch. This book is an ideal gift to start the wintry season.